Ideal for fine polishing, sanding and buffing of many surfaces. Ideal for finishing models. 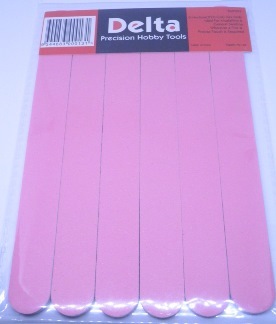 Abrasive grit on both sides of the Flex Pad, with a soft flexible foam core between the two sides. Each pack contains 6 pads. This item was added to our catalog on Saturday 05 January, 2019.